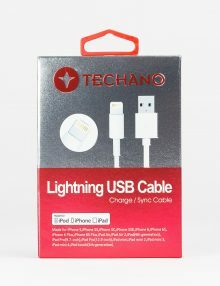 Categories: Accessories, Apple Accessories, Apple iPad Accessories, iPad 2, iPad 3, iPad 4, iPad Air, iPad 2017, Apple iPhone Accessories, iPhone 6S, iPhone 5, iPhone 5C, iPhone 5S, iPhone 6. This product by Slick Gadget features a Liquid Glass Invisible Screen protector backed by our 1 Year Screen Guarantee. If the device screen breaks while under it’s care, we will pay $100 towards the cost of a new screen. Every brand and model of phone or tablet on the market. This revolutionary screen protection product is made from silicon dioxide and can be installed on any phone or tablet on the market today, installation takes 3 minutes and can be done by anyone, the process involves spreading the liquid over your existing glass, then leaving it to set for 2 minutes and buffing it off which leaves an ultra thin coating on your existing screen that provides industry leading protection. Both versions of Titanium Armor+ offer the same level of protection to your device, the difference between the two options is the level of guarantee, the “Full guarantee” version offers a guarantee in which we will pay the full cost of your screen repair if your device is to break within a year of purchasing & registering your warranty. This even includes top end devices which a screen repair could usually cost $300-$500, with the Titanium Armor+ Full protection guarantee, if you still manage to break your screen we will pay for the repair. The second offering is our Titanium Armor+ $100 Guarantee, this offers the same level of screen protection, however if you do break your screen we pay up to $100 towards a screen repair. We have an extensive repair infrastructure building throughout Australia. If you need your screen repaired, you can walk into one of our many locations. If you aren’t close to one, we’ll approve a local repair option. If your screen breaks within a year of applying this product, we will pay for your screen repair up to the value of $100. *Claims are limited to the cost of a screen replacement and exclude any other related damage or costs.